The GoPro Jaws Clamp Mount allows you to attach any camera compatible with the GoPro quick release system to either the jaws directly or on the neck attached to the jaws for easy mounting to poles, bars, branches, and more that range from 0.25" to 2" in diameter. 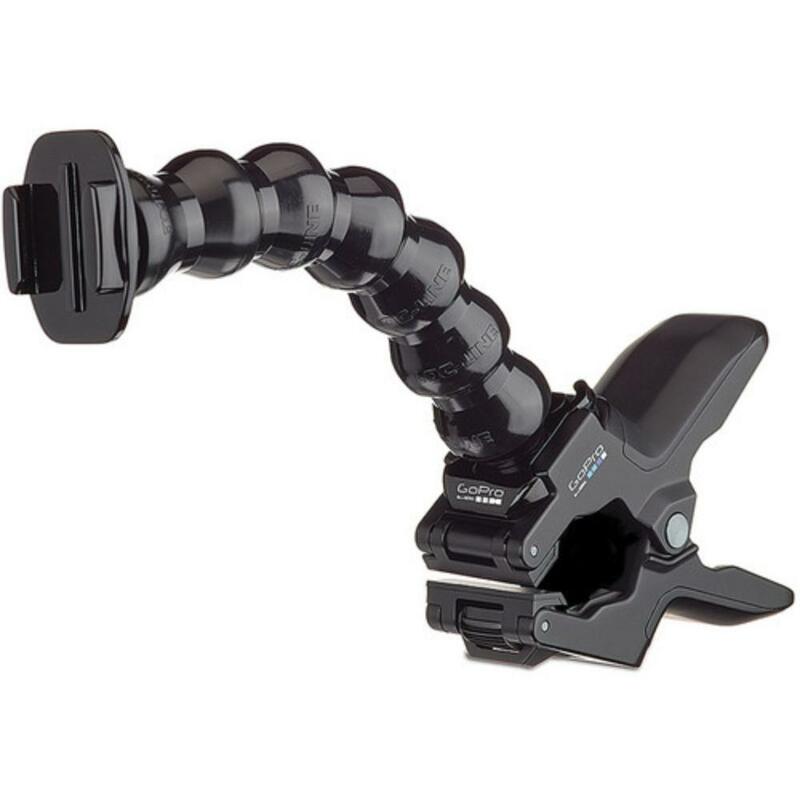 This is handy for attaching a GoPro camera (not included) to items without using sticky mounts and provides more angle options. It's a versatile solution for those who want stabilization in the smallest possible form and is ideal for travel. • Clamp attaches only to objects ranging in size from 0.25" to 2" in diameter. 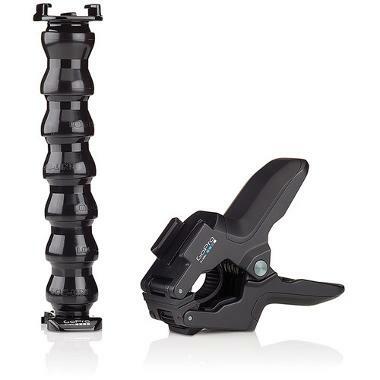 • Compatible only with GoPro quick release mounting systems.